The Morgan Plus 8 made its return in 2011 and since then, the retro-styled, modern-day sports car has seen its fair share of buyers. But don’t mistake the Plus 8’s looks as just a novelty because there’s a lot of history to it. In fact, Morgan has been building cars for 100 years, and it is paying tribute to that with the launch of the special edition Plus 8 Speedster. There’s no denying that the Morgan Plus 8 Speedster doesn’t look like any other sports car these days. It’s looks come from a bygone era of stripped-down, road-going race cars and therein lies the appeal, as a lot of people will say. You can call the Plus 8 Speedster eccentric, but what it really represents is a testament to the timeless nature of the model that can get imbibed with a buyer’s taste and preference, thanks to the comprehensive list of options Morgan is offering for its customers. Oh, and don’t forget that the Plus 8 Speedster really does live up to its legend. It’s powered by a BMW-sourced, 4.8-liter, V-8 engine that produces 367 horsepower and 370 pound-feet, while mated to either a six-speed manual or a ZF six-speed automatic transmission. That much power translates to a 0-to-62 mph time of 4.2 seconds to go with an electrionically limited top speed of 148 mph. Those numbers represent a 0.3-second faster 0-to-60-mph time and a 7-mph slower top speed than the base Plus 8 with the same engine output. 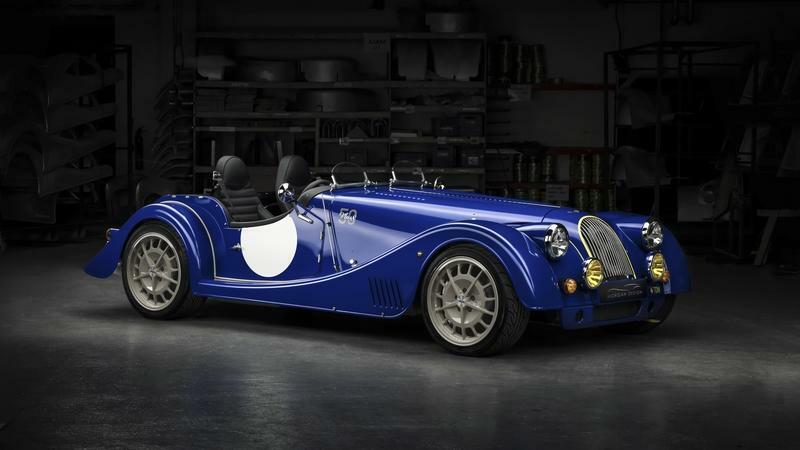 The Morgan Plus 8 Speedster is expected to hit production this coming June with the first cars available later this year. It’s a special edition model so understandably, it comes with a special edition price of £69,995, which is about $117,000 based on current exchange rates. 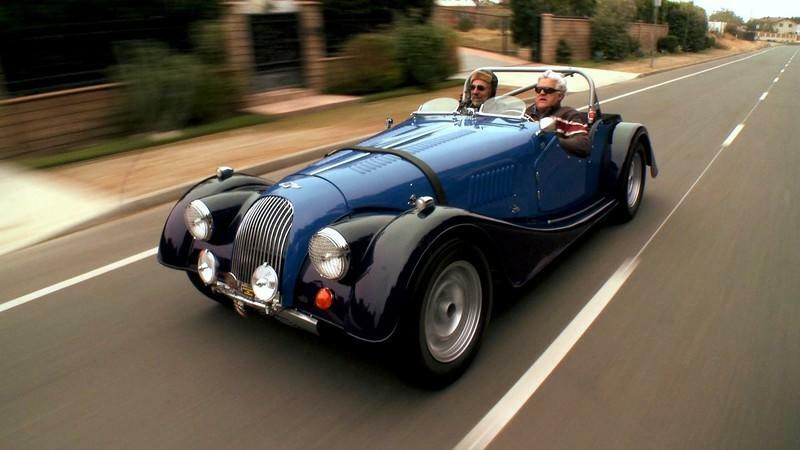 Click past the jump to read about the Morgan Plus 8. 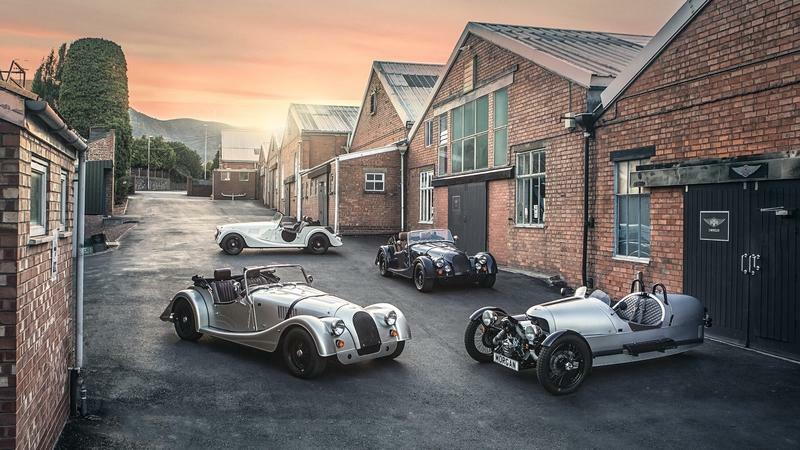 Morgan Motor Company celebrates the 110th anniversary next year. That’s more than a century, folks. I think this company definitely deserves massive attention as it is basically a love story written in pain, blood, and cars so amazing that every car enthusiast simply must fall in love with it. It all started in 1909 when Henry Frederick Stanley Morgan installed a Peugeot engine in a tricycle he designed. Even then, in a time when small manufacturers produced a number of oddballs, his car was among the strangest with that small engine actually fitted at the front. It’s not surprising that Frederick maintained that eccentric style throughout the years. It all translated into the modern times, and now Morgan maintains that eccentric character despite only being a small family business. Yet, with humble beginnings, but illustrious history, Morgan never really broke among the big ones. It stayed a niche producer, and after more than a century, it is among the best in its segment. I will lead you through its history and present some of the most important cars Morgan ever endeavored to produce. Of course, we will start with the first one - the 1909 Morgan Runabout. The one with a Peugeot engine inside. Don’t worry, and I will also spark your imagination with the latest special edition cars the company has produced too. First introduced in 1968, the Morgan Plus 8 remained in production for 36 years until 2004, becoming one of the industry’s longest surviving nameplate. The roadster was revived in 2012 with minor updates and soldiered on for a few more years. 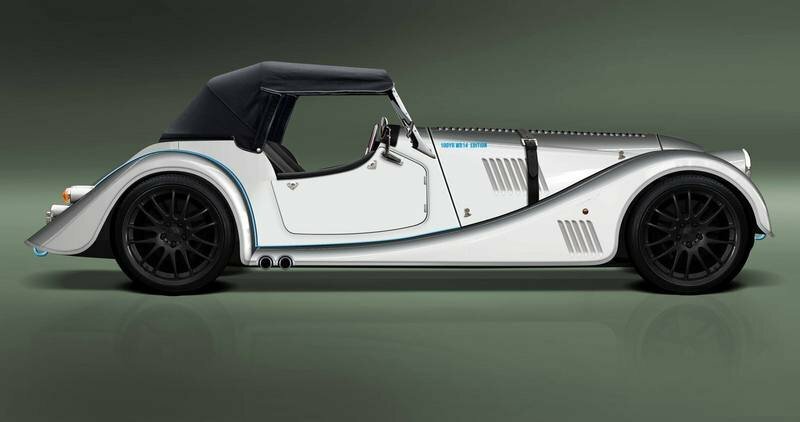 Come 2018 and Morgan is putting an end to the Plus 8 model for good with the 50th Anniversary Edition. The limited-run Plus 8 obviously celebrates 50 years since the model was launched, but it also pays tribute to the car’s early motorsport days. Unveiled at the 2018 Geneva Motor Show, the 50th Anniversary Edition also marks the end of the line for Morgan’s 4.8-liter V-8 engine. Borrowed from BMW in 2008, this unit remained in production at the company’s British facility a full seven years after the Germans stopped using it in models like the 5 Series, 6 Series, 7 Series, and X5. 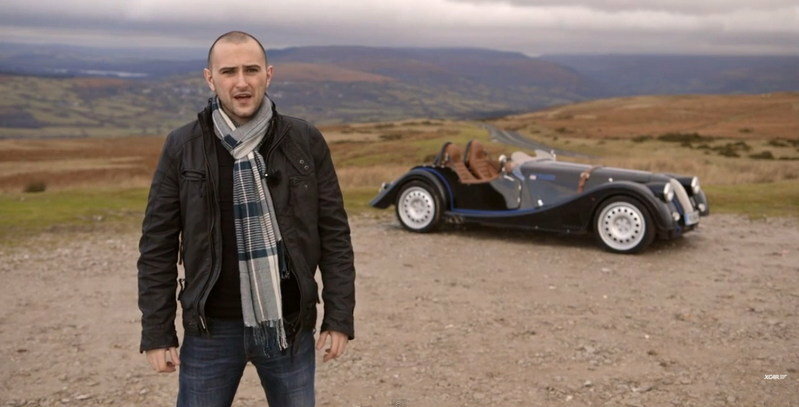 Morgan has yet to announce a replacement for the Plus 8, but a new model is probably under development. The body style will live on though through the 4/4, Plus 4, and Roadster versions, which use four-cylinder and V-6 engines. Continue reading to learn more about the Morgan Plus 8 50th Anniversary Edition. British coachbuilder Morgan is getting ready to discontinue two of its iconic models with special-edition versions unveiled at the 2018 Geneva Motor Show. One of them is a 50th Anniversary Edition of the Plus 8, the brand’s crowning vehicle for a half a century. Unveiled back in 1968 and discontinued between 2004 and 2012, the Plus 8 gets a few special features for its 50th anniversary, before going out of production for good. More than 6,000 Plus 8s have been built so far, which makes this model the most successful in the company’s history. Morgan is very much a unique car company: it makes cars you either love or hate. The folks at XCar are definitely in the love-it camp, and in this video, they not only say it, but also show it by taking a roofless model out for a test drive in January. That’s something you’re likely to do only if you really love a car. This enthusiasm is understandable though, especially given the fact that this is one of only 60 units of the Plus 8 Speedster that Morgan will build. The car is special edition to commemorate the 100th anniversary of the company, which is still family owned after a century of operation. It manages this by having its niche more or less all to itself, building cars by hand that have the appearance of machines from the 1930s. It’s an odd approach, but it has clearly worked for them, and the cars have a definite charm to them. It might be strange to feel nostalgic for a time you probably weren’t alive for, but Morgan can make sure that you at least have fun doing it. The latest episode of the famous Jay Leno’s Garage show brings another great car into focus. Jason Len from XKs Unlimited stops by with a barely street-legal Morgan Plus 8 he developed for racetrack and it looks like Leno had an awesome time behind the wheel! The Morgan Plus 8 was unveiled in 1968 and remained into production until 2004. Many enthusiasts consider it to be one of the best models developed by the British company. During its life, the Plus 8 only came with V-8 engines, as does this 1970 model reviewed by Leno. The model brought to Jay Leno’s Garage was designed by the guys over XKs Unlimited as a hot rod, but it is still road legal. So, Jay Leno could enjoy this masterpiece on the public roadways. This customized Plus 8 surely looks very quick. We’re just wondering how Leno felt behind the wheel.